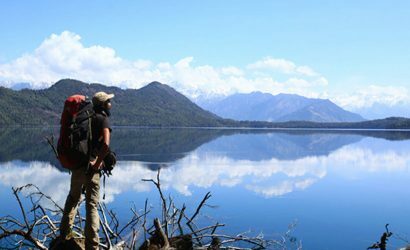 Nar Phu Valley Trekking is a special trekking area of Nepal as it is a combination of the quaint villages of Nar and Phu, amazing landscapes, and unique Himalayan culture. It is a fantastic journey to the wild and unexplored neighborhood filled with wide-ranging Himalayan scenery that takes you through Kang La Pass (5320m) and Thorung La pass (5416m). Nar Phu Valley Trek is the best trekking route in Annapurna region for those who want to travel through off the beaten tracks and explore hidden valleys. Nar Phu valley trail passes through antique Gompas, narrow canyons, and ethnic culture of Tibetan influenced inhabitants. You will encounter with blue sheep, mules, and yaks during the trek. Buddhism is the most common religion in this region. You can witness the culture of the mountain people in the region which has blossomed even after centuries of hardships. Tashi Lhakhang Monastery and many other age-old monasteries make your trek a cultural exploration too. The villages of Nar and Phu take you back in time with their traditional housing style in the rugged terrain made of sandy hills. 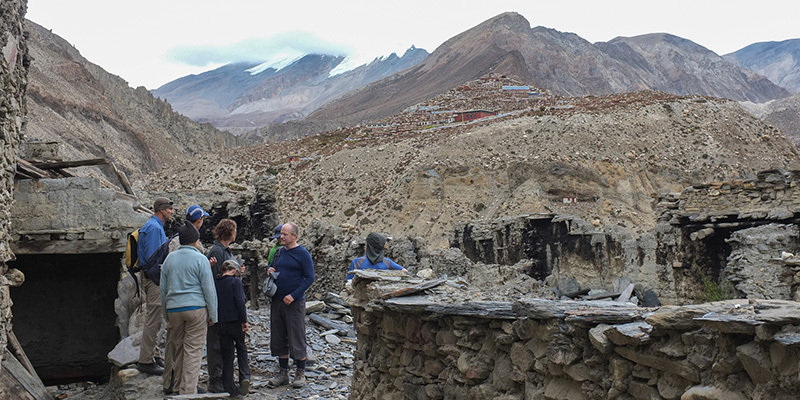 A traverse through Thorung La Pass (5416m), a frozen mountain pass on the foot of Thorung Peak (6144m), takes you to Muktinath, an important Hindu, and Buddhist pilgrimage site. 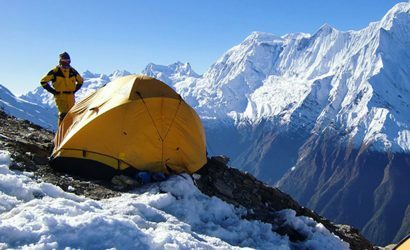 The trek provides you with an incredible opportunity to view Annapurna and Dhaulagiri ranges along with other snow-capped peaks as you explore the various settlements reached en route. A flight through the Kali Gandaki Gorge from Jomsom marks the end of Nar Phu Valley Trek. Once you land at Tribhuvan International Airport, our representative will pick you at the arrival section. You will be transferred to the hotel via private van. Overnight at a hotel in Kathmandu. After an early breakfast, you will head on for a sightseeing tour of the UNESCO world heritage sites in Kathmandu. This includes the durbar squares of Kathmandu, Patan, and Bhaktapur. You will also be visiting religious shrines of Swayambhunath, Pashupatinath, and Boudhanath. Overnight at hotel. You will drive from Kathmandu to Bhulbhule, a small Gurung settlement in Lamjung. The scenic drive will take around 6 hours to reach Bhulbhule. Along the way, you will be accompanied by Trishuli River for the first part and Marsayangdi River for the latter half. The road is excellent up to Besi Sahar. From there, the road to Bhulbhule is off-track for about 45 minutes. Overnight in Bhulbhule. 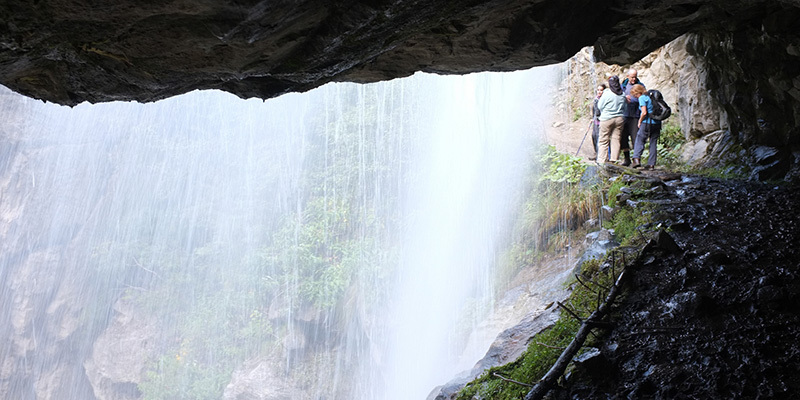 As you start your trek, you will follow the rocky trail leading towards a beautiful waterfall. Then cross the suspension bridge and climb towards Ngadi and then to Bahundanda. After a short break, descend along the bank of Marsayangdi River. After crossing another suspension bridge, climb up to Jagat. From there, a short hike through the forest will take you to Chamje. Overnight in Chamje. Trek along the narrow and steep trail towards enchanting rhododendron, bamboo, and pine forest. You may get to see mules along the way. Cross a suspension bridge over the snaky Marsayangdi River. Reach the beautiful village of Tal and continue the trek uphill until you reach Dharapani. You will have an amazing view of Lamjung Himal (6983m) and Annapurna II (7937m) as you rest in Dharapani for the night. It will be a 7 hours trek from Dharapani to Koto. After 30 minutes of walk, you reach Bagarchhap. You can see the views of Manaslu (8163m), Lamjung Himal (6983m), and Annapurna II (7937m). Further trek to Manang valley and the path uphill is flat until Thanchowk. From there, you will make a gradual ascend to Koto. Koto is a small village with people following Tibetan Buddhism. Overnight in Koto. In the morning, you register your permit at the army check post as you enter the restricted area of Nar Phu Valley. Then you start your trek through the river bank of Seti Khola, where you will see one famous Dharmasala. The further trek leads you to Meta village on the Tibetan plateau. You can have a very good view of Annapurna II (7937m) and Lamjung Himal (6983m). Overnight in Meta. Today the trek descends to the beautiful village called Kyang through the suspension bridges over different streams. Then you keep walking alongside the Phu Khola on a rocky trail until you reach Phu Gaon. You can witness the grazing blue sheep along the trail. You can see the influence of Tibetan Buddhism in the traditional village of Phu as soon as you enter via the ruined fort at the entrance. Overnight in Phu. After an early morning breakfast, you will head out towards Nar. 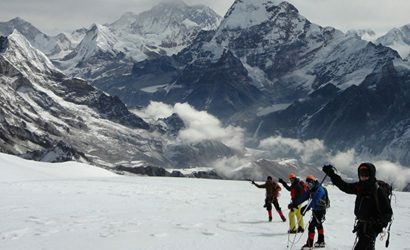 Today you will be crossing two high passes—Phu Pass (5050m) and Nar Pass (5400m)—adding challenges to the trek. You will pass many streams and suspension bridges until you reach Mahendra Pul. Then pass the high suspension bridge, 80m above the gorge of Lapche River. Further trek allows you to see many Buddhist stupas on the way and then you will reach Nar. The mud houses of this aged village are given contrast with the snowy peaks of Kanguru (6981m) and Nemjung (7140m). Overnight in Nar. Day 10: Trek from Nar village -Kang La passes- Ngwal (3,660m). 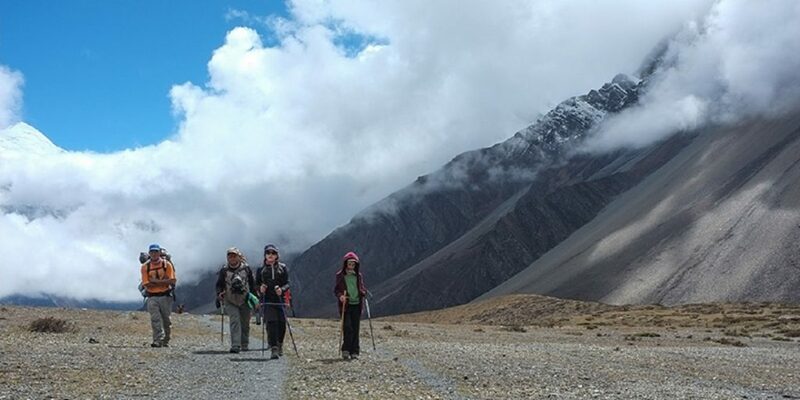 Early in the morning, you will begin the trek towards Kang La Pass (5320m). The trail is steep and is covered in icy moraines, so you have a challenging climb ahead. The top of Kang La provides an excellent opportunity to view the Annapurna massif along with Kangla Himal Range. Then you descend on a steep trail through the moraines to enter a grassy path leading to Ngwal village. You pass a few monasteries before entering Ngwal. Overnight in Ngwal. Today’s trek slightly descends past monasteries until you reach Braga village. Visit the 900 years old Braga Gompa and then the Boozo Gompa situated by the bank of Marsayangdi River. Cross a suspension bridge above Marsayangdi River and arrive at Gangapurna Lake before entering the village of Manang. 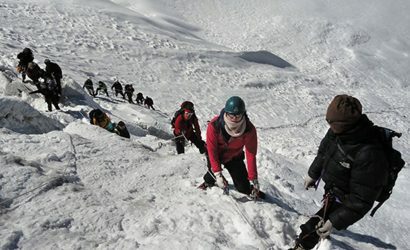 You will be accompanied by the Annapurna massive, Gangapurna (7454m), and other snow-capped peaks throughout the day. Overnight in Manang. In this day, you will head towards Yak Kharka. 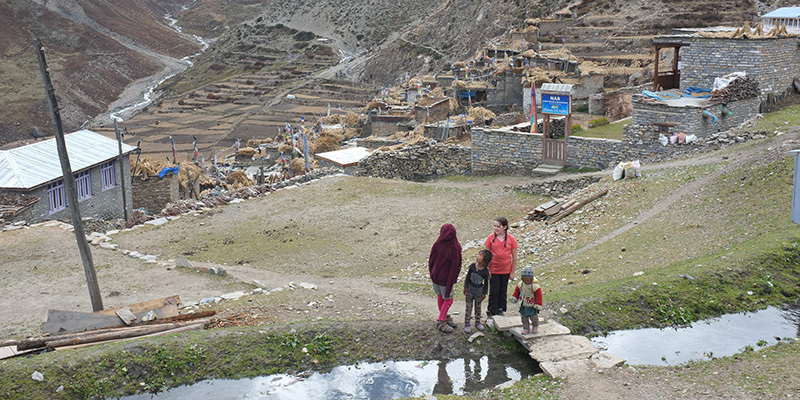 During this trek, the trail leads you to the village of Tengi. Climb out of Marsayangdi valley and then the trail passes the small village called Ghunsa. You will see an old Mani wall in a pleasant meadow on your trail and finally reach Yak Kharka. Overnight in Yak Kharka. A 3-4 hours trek from Yak Kharka takes you to Thorang Phedi. You will walk on wide meadows surrounded by snowy peaks and glaciers. After a steep uphill climb, you reach Thorang Phedi, which is the base of the famous Thorang La Pass (5416m). Thorang Phedi is often vibrant with trekkers visiting Muktinath or trekking around Annapurna Circuit. Thorang Peak (6144m) and other mountains rising on the horizon make up a pleasurable sight at Thorang Phedi. Overnight in Thorang Phedi. Day 14: Trek from Thorong Phedi - Muktinath (3850m.) via Thorung La Pass (5416 meters). You will start the day early as you will be climbing across Thorang La Pass (5416m) today. Since it is one of the highest mountain passes in Nepal, which is usually frozen, the climb is quite difficult through the steep icy paths. 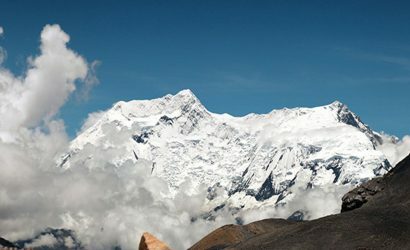 From Thorang La, you will be able to have a breath-taking view of the Annapurna and Dhaulagiri massifs. Then you will descend through pasturelands to reach Muktinath, a pilgrimage site for both Hindus and Buddhists along. Overnight in Muktinath. Early in the morning, you will explore Muktinath temple and visit the Vishnu temple near the main Shiva temple. You can also take a bath in the 108 sprouts that are supposed to wash off your sins. Then you head towards Kagbeni and then Jomsom. Descend down the famous Kali Gandaki Gorge and pass Jharkot and Khingar villages. Upon reaching the windy town of Jomsom, you will get a panoramic view of high reaching peaks of Dhaulagiri (8167m) and Nilgiri (7061m). After breakfast, you will take the flight to Pokhara. 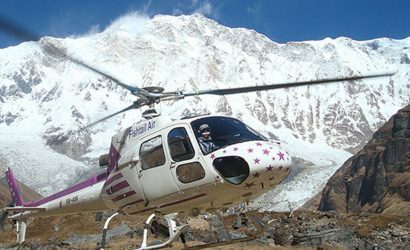 The breathtaking flight provides panoramic views of Annapurna and Dhaulagiri Himalayan ranges. Explore the beauty of Pokhara and go for a boat ride in Phewa Lake. Enjoy the vibrant evening of the lakeside area. Overnight in Pokhara. Day 17: Drive from Pokhara to Kathmandu. After an early morning breakfast, you will drive to Kathmandu. It takes around 7-8 hours. Enjoy the ride along Marshyangdi River and Trishuli River. Upon arrival, you will be transferred to your hotel. Feel free to explore the markets of the capital city. Overnight at a 3-star hotel in Kathmandu. Day 18: Drop-fff to international airport. Your trip will come to an end after today’s breakfast. After your travel arrangements are made, our representative will take you to the airport in our private van around 3 hours before your flight schedule. Standard accommodation Kathmandu breakfast included. Guided city tour in Kathmandu by car / van / bus. 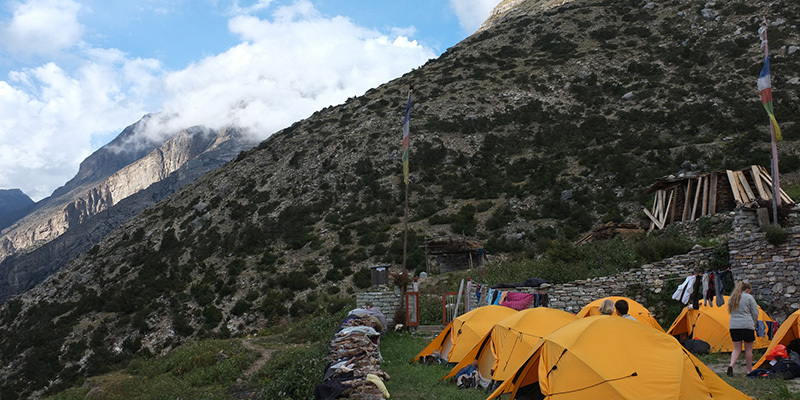 Best available Lodges, Guesthouses accommodation during the trek (mainly in twin sharing). Tips for trekking staff .